Many therapeutic benefits are attributed to seaweed bathing. Scientific studies have confirmed that seaweed bathing helps lower body stress and relieve skin conditions (psoriasis, eczema, acne etc). It has also been shown to be beneficial in the treatment of muscle aches and joint stiffness (rheumatism and arthritis), and excellent for some circulatory problems. 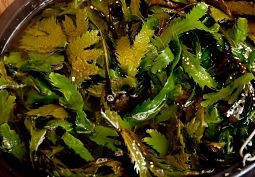 Seaweed treatments are associated with body toning, slimming and the release of toxins. Indeed, the therapeutic merit of seaweed can be aptly described as one of nature's timeless treasures, fostering beauty, balance and vitality. We are made up of 65% water and water is the basis for our body's evaporative cooling system. It flushes out toxic wastes, plumps up our cells, and lubricates our moving parts. Water is crucial to our survival. There are not many among us who could deny the relaxation brought about by a warm bath or a hot tub and this in itself is therapeutic. 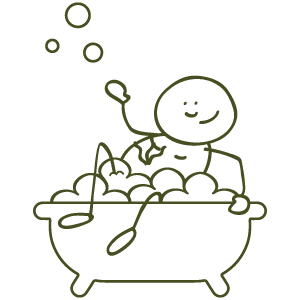 However there are a number of differences between plain bath water and the sea water in your seaweed bath, and it is these differences that is thought to have a significant impact on our health and well being. In 1904 French scientist Rene Quinton published the medical work 'L'eau de Mer, Millen Organique' (Sea Water Organic Medium). Quinton's study indicated that sea water and human plasma (Blood and Lymph fluid etc) are almost identical in their composition of mineral salts, proteins and various other elements. Indeed it is known that similarities between seawater and human blood plasma are so great that, when removed from the body, white blood cells are able to survive in sea water, whereas they break down and disintegrate almost instantly in any other medium. In a seaweed bath, seaweed and seawater are infused and the mineral concentration within the infusion is much greater than in seawater alone. 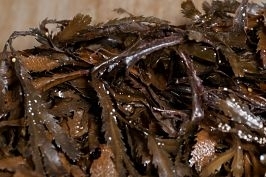 Seaweed is one of nature's sponges and as such absorbs and concentrates minerals from the sea. Since seawater and seaweed contain minerals essential to the function of the human skin cells, it is understandable that their topical application can be of great benefit. To a large extent the transference of minerals works on the principle of osmosis, whereby the skin is capable of absorbing the nutrient rich infusion through the cells. The steam session and the hot water dilate the pores and blood vessels, allowing the skin to be more receptive to the minerals and vitamins from the bath. The hot water increases blood circulation and cell oxygenation. The increase in blood flow also helps dissolve and eliminate toxins from the body and increases the flow of oxygen rich blood throughout the body, bringing improved nourishment to vital organs and tissues.